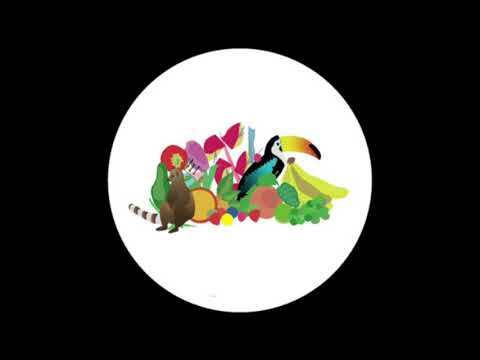 Fruit Merchant is a brand new imprint coming to fruition (no pun intended) out of Manchester from Tom Harris aka Hidden Spheres (soundcloud). The name is shared with Tom’s radio show on NTS, which aires monthly. Hidden Spheres is known for his percussion-filled, breezy and often jazzy sounds with releases on labels such as Distant Hawaii, Lobster Theremin and Rhythm Section. With the first Fruit Merchant release pegged for February, who better to inaugurate the label than the founder himself? Entitled “Wonders of the Rainforest” the EP as a whole is truly a testament to the title. Derived from a documentary of the same name, the record is full of lush, tropical samples taken from the 1970’s film. From the shimmering pads, hypnotic flute melodies and tougher drums of the A1, Forest Soil, to the gentle piano flourishes and sanguine horn stabs of the B2, Lianas, by and large all of the songs transport you to a much warmer destination. For those of us currently suffering from negative temperatures and a boatload of snow, this will be a welcome respite from the frigid outside air. Our premiere today and the B1 on the record, Sapodilla, is named after a tree and fruit (another nod to the label’s name) native to Central America, exactly where we want to be right now. The most dancefloor friendly of the bunch, this tune is full of afro-latin percussion and tribal-sounding rhythms bound to make you boogie. The main melodic riff has an almost Eastern quality about it, giving it a real sense of exoticness not heard in the other songs. In the latter part of the track, the melody makes way as the previously understated bassline changes to a rolling groove and takes over the main point of emphasis with steel drums, heavy percussion and some tension from a high string line in support. All in all this one is bound to make some noise. We can’t stress enough that this one is going to be vinyl only and is definitely bound to sell out with such an established name at the helm of the EP and label. Therefore, get your pre-orders in ASAP.